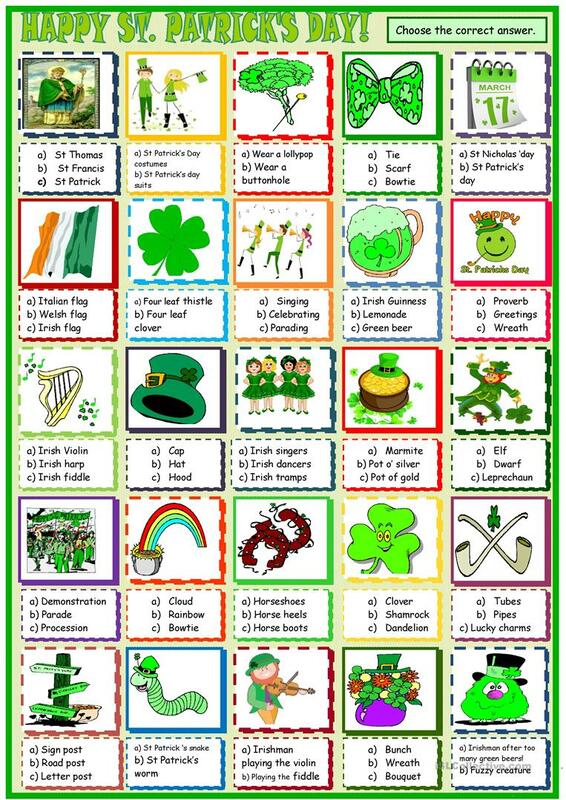 Students read the words and choose the right possibility to learn or revise words related to the theme of saint Patrick, leprechaun, ,shamrock, clover, parade dancers.. The above downloadable printable is meant for high school students, elementary school students and students with special educational needs, learning difficulties, e.g. dyslexia at Elementary (A1) and Pre-intermediate (A2) level. It is useful for working on your students' Writing skills. It is focused on the theme of St.Patrick's day.